Does it work on all beds? The Polefit™ bed sheet is most easily fitted on beds where a substantial thickness of the mattress is exposed at the sides and foot of the bed. This allows the straps to be attached and tensioned without lifting the mattress. The photographs below show a selection of bed designs to which the Polefit™ bed sheet is ideally suited. In these designs the mattress sits directly on the base of the bed or within a shallow recess leaving most of the mattress exposed. 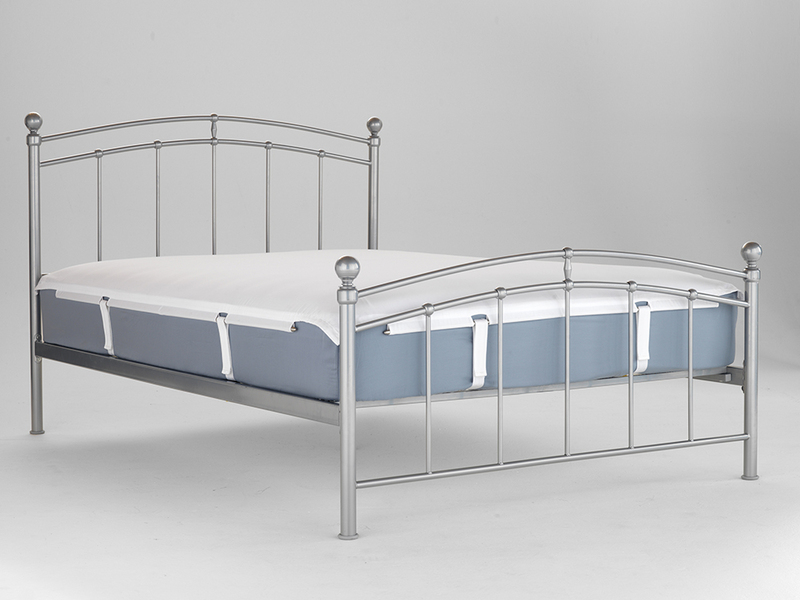 If the bed has a solid footboard the Polefit™ bed sheet is best fitted using only the Cross straps. At the head and foot of the bed the sleeves can be tucked between the mattress and the head/foot board; inserting the poles into the sleeves makes this easier and helps to hold the sheet in place. 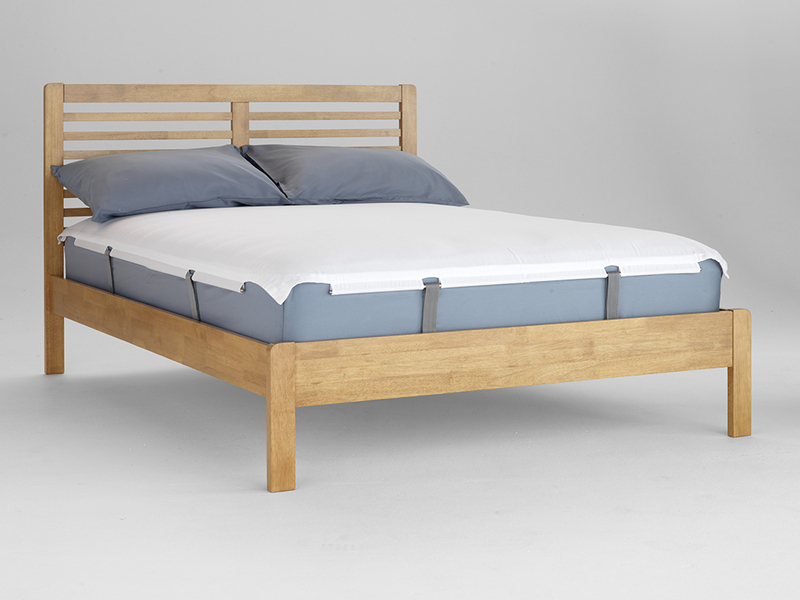 If the mattress is largely or fully recessed so that its sides are not exposed the Polefit™ bed sheet can only be fitted by lifting the mattress to attach and tension the straps. Does it fit all sizes of mattress? 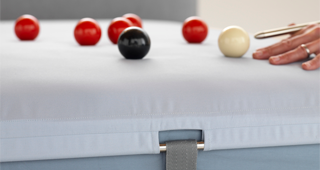 Polefit™ bedding is currently available for UK Double and UK King sizes of mattress. 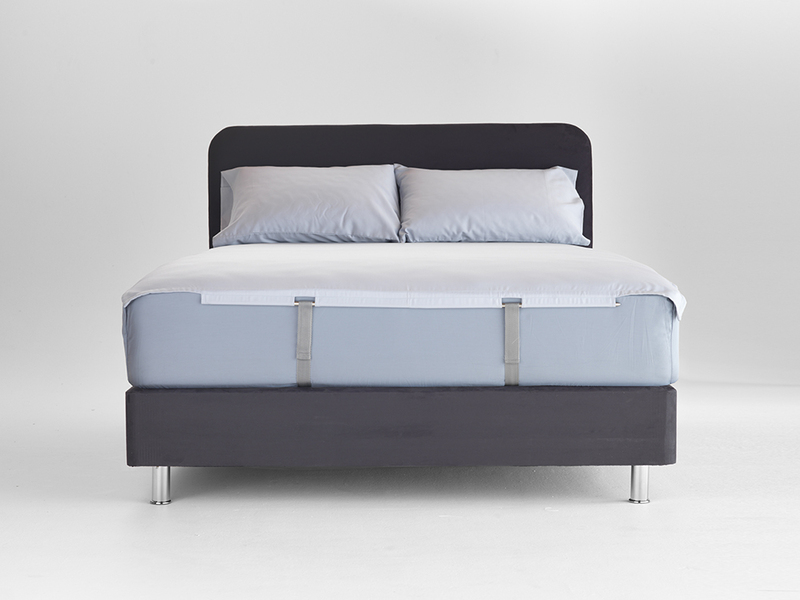 Straps are adjustable to fit mattresses of different thickness. Instructions on how to adjust the straps are included. Before purchasing Polefit™ you should find out if you mattress is a Double or a King and also the approximate thickness of the mattress. Here is some guidance on how to find out the size of your mattress. The nominal size for mattresses is shown below however you may find your mattress differs by a few centimetres from the dimensions shown below. Mattress thickness is normally indicated as part of the sales specifications but is not normally printed on the label of the mattress. If you do not know the thickness of the mattress for the purposes of purchasing Polefit™ you can estimate it by measuring the thickness between the seams of the mattress and adding 6cm. 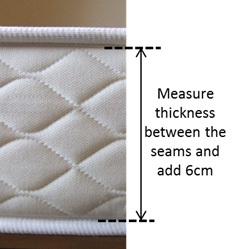 For example if you find the thickness between the seams is 18cm the nominal mattress thickness is 24cm. Is it necessary to use a base sheet? No. The base sheet is intended to enhance the appearance only since the Polefit™ sheet covers only the top surface of the mattress. If you are happy with the appearance of the sides of the mattress then you do not need the base sheet. Is it necessary to use a Polefit™ mattress protector? No. The Polefit™ mattress protector is a standard protector but because it is held in place by Polefit™ bed sheet it does not have a skirt. If you have a mattress protector without a skirt then you should be able to use it. Can it be used in small rooms? Yes. The poles have a flexible joint at the centre which allows the poles to be bent. This makes it possible to insert and remove the poles in confined space without difficulty. How are the straps installed? To install the straps it is best to lift the mattress off the bed. The straps are then laid across the surface of the bed frame. 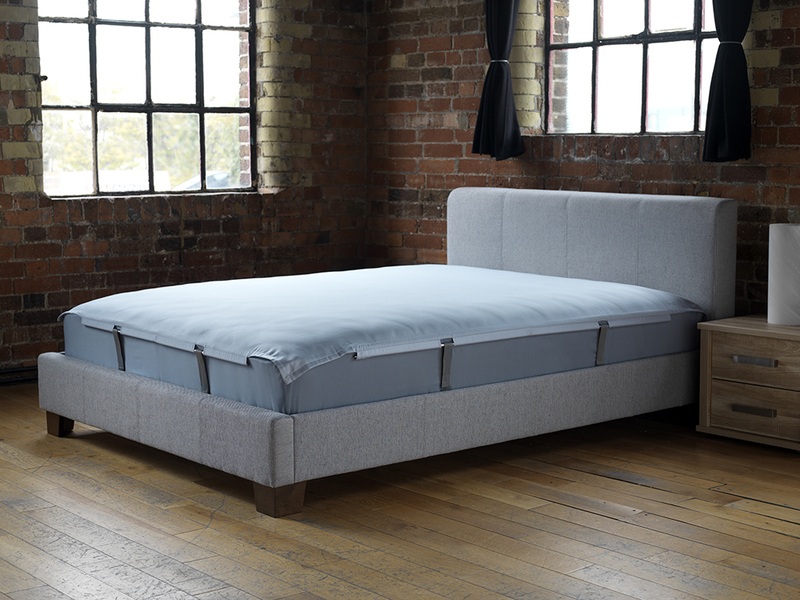 In order to prevent the straps from moving when the mattress is replaced we recommend using a small piece of adhesive tape to hold them in place. This is particularly useful if the bed has slats. Once the mattress has been replaced the straps will remain in place. Detailed fitting instructions are included with the straps.